The P1 is an impressive example of early electric car technology. 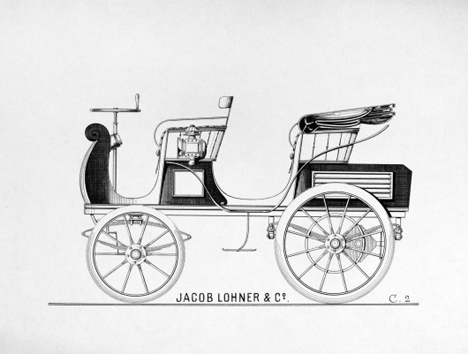 Porsche invented the “octagon” motor just for this project, so named for its eight-sided housing. The car had 1,103 of battery weight, 287 pounds of motor, and a convertible body that could be a coupe in the winter and an open-top Phaeton-type car in cooler weather. 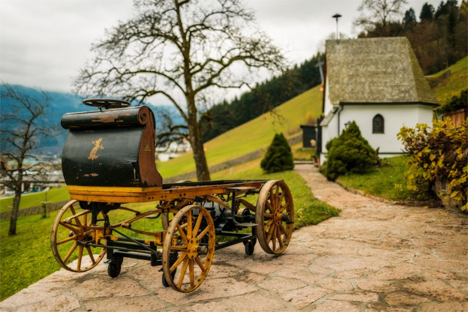 The Egger-Lohner C.2 electric vehicle was one of the first cars to run on the streets of Austria. 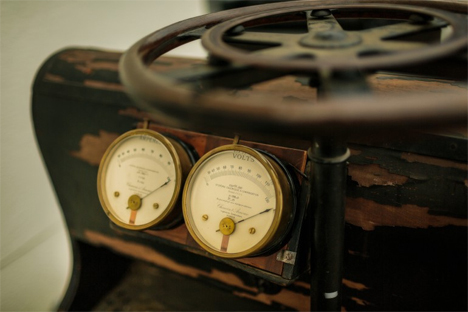 In an 1899 international motor vehicle competition in Berlin, the car won the gold medal in a rather difficult race against other electric vehicles. Electric vehicles had a lot to prove at that competition, at which plenty of petrol-powered cars also vied for attention. 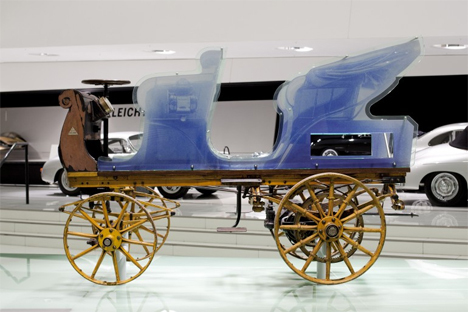 Ironically, soon after building the P1 Ferdinand Porsche turned his attention to developing petrol-powered cars himself. Amazingly, this beautiful piece of automotive history was tucked away in a warehouse and forgotten about for more than a century. 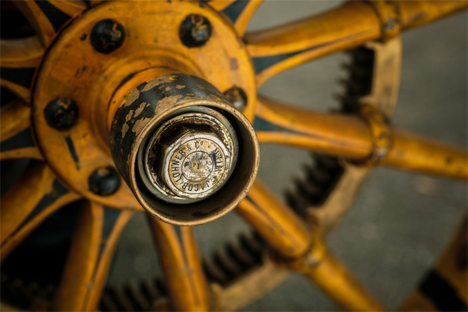 Upon its rediscovery, it was restored as much as possible – but the years had taken their toll on the car. The body is completely gone, as are almost every other portion of the car other than the wooden dash and the metal chassis. When the P1 was brought to the Porsche Museum, translucent plastic pieces were installed to recreate what the body looked like in the car’s early days. Only four of the P1 models were built before Porsche decided to work on a new model. Read more about the vehicle’s technical specs on Porsche’s website.